Follow this fun and unforgettable cast of characters as they find their way to love and a happily ever after! Carolina Connections is a series of steamy romantic comedies all set in North Carolina. The characters are real and down-to-earth; their struggles and triumphs are easy to identify with, and their humor is accessible. And did I mention the steamy part? The characters in The Fix make this book amazing! From their relationships to the crude jokes they make to each other, each one playing off the other perfectly. Laney is my spirit animal. She is spunky through and through. Laney is a strong and confident mother that puts her family and friends before herself. But Laney isn’t afraid to stand up to whomever she needs to....and Nate falls victim to that. Feeling stressed and slightly out of control, Nate has been thrown into a new life. Helping out the family business, the last thing Nate expects is to meet a fireball that can bring him to his knees! Learning to be back home, and how to work with family, Nate gets a breath of fresh air with Laney. I loved everything about this book! The humour, the heart-filled moments and I cannot forget the sexual tension (bites fist). 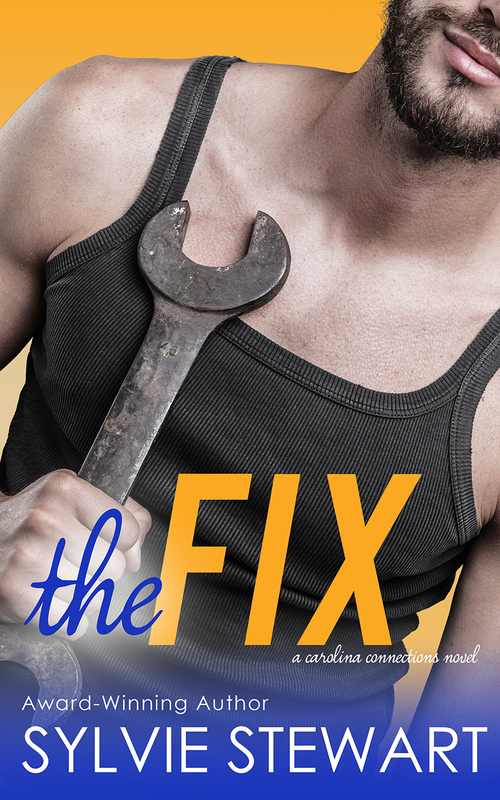 Sylvie tackles every angle in The Fix! I cannot wait to read more from Sylvie! Sylvie Stewart is an author of Contemporary Romance and Romantic Comedy. She lives in North Carolina with her husband and two kids, one of whom likes to read almost as much as she does. Sylvie is the author of the Carolina Connections Series which begins with the story of Laney and Nate in "The Fix". The second installment of the series is coming in Fall 2016 and features the story of Fiona and Mark. "The Fix" has reached the top 10% in paid e-book sales on Amazon and has gotten great feedback from authors and readers alike. When Sylvie isn't writing and being a mom, she enjoys the great outdoors of North Carolina and, of course, a good book.